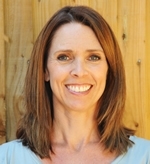 Saskia is a trained Stott Pilates® Instructor. She started her Health and Fitness career as an exercise to Music instructor over 15 years ago after having been a secondary school teacher. She moved to Dubai in 2002 where she (and her husband) lived for almost 12 years. She was teaching various Health and Fitness Classes while living there. Becoming a mum and living in a busy city changed her outlook on life and she became more and more interested in Body and Mind Classes. She did various Yoga courses and this led her to Pilates. Training with Stott Pilates®, an international recognised training program, made her become more and more interested in the physiology of the human body and the psychology of the human mind. The combination of working with different people and her love for Pilates made it the perfect job for her. In her experience Pilates is an effective method of developing the body uniformly, correcting body postures, restoring physical vitality, invigorating the mind, and elevating the spirit. It’s the perfect Body and Mind workout. For more information please email saslensink@hotmail.com or telephone 07739 066491.